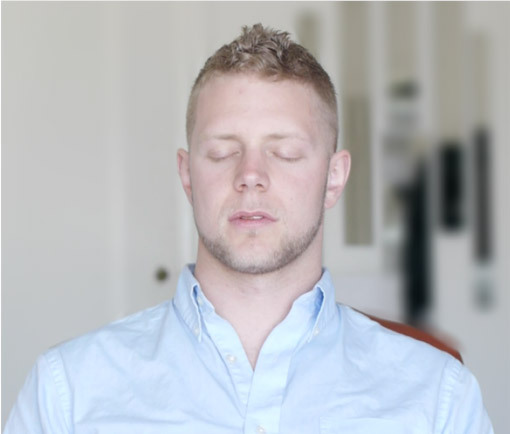 Understand your client’s week with the psychophysiology dashboard. 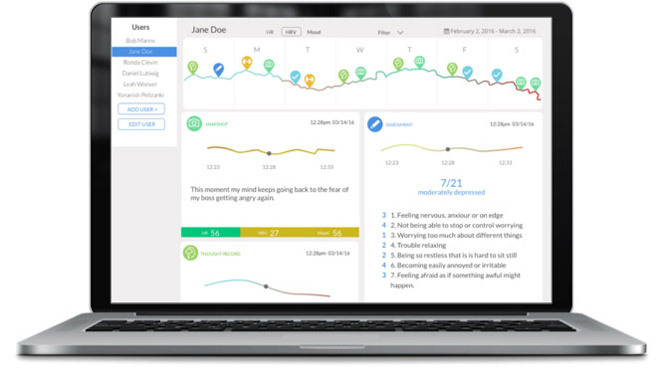 The dashboard displays key user insights including heart data, mood ratings, thought records, snapshots, and assessments. This an example heart rate pattern generated by a real Lief user. 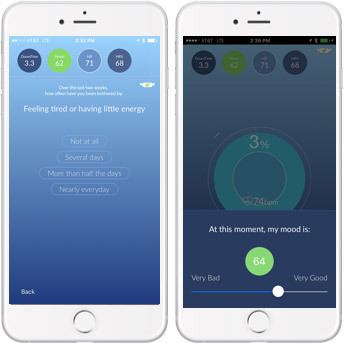 The user feels distress and begins a "downtime" HRV biofeedback exercise, causing regular peaks and valleys in their heart rate. 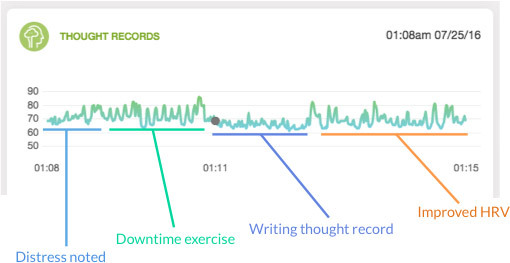 When writing the thought record, the user's HRV drops immediately - breathing regularly when using digital devices should be brought to the client’s attention. Finally, HRV improves demonstrating a clear shift from baseline in the user's physiology. Schedule exercises, thought records, and psychological assessments (GAD-7, PHQ-9, PSS) to provide scaffolding and measure progress for your clients.